The American Civil Liberties Union (ACLU) of North Carolina today released a report that outlines how North Carolina can reduce its jail and prison population by half and save more than $1 billion by pursuing reforms that include diverting more people to treatment programs, ending cash bail, eliminating mandatory minimums for drug sentences, and expanding access to compassionate release for the state’s rapidly aging prison population. The report is part of the ACLU’s Smart Justice 50-State Blueprints project, a comprehensive, state-by-state analysis of how states can transform their criminal justice systems and cut incarceration in half. 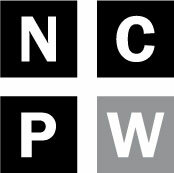 The blueprint provides an overview of North Carolina’s incarcerated populations, including an analysis of what drives people into the system, who is being sent to jail and prison and the racial disparities that are present, how long people spend behind bars, and why people are imprisoned for so long. 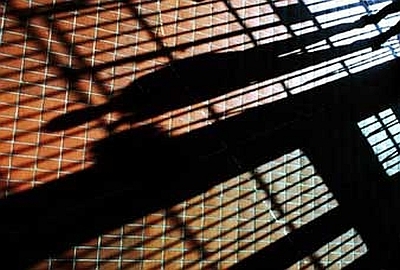 The North Carolina report found that an increase in the average amount of time people spend in prison, particularly for drug offenses, and a decrease in the number of people released from prison every year have kept the state’s prison population near peak levels, despite a reduction in the number of people entering the system in recent years. It also shows that Black men, people over the age of 50, and people with severe mental illness and substance use disorders are massively over-represented in the state’s prison population. The growth of North Carolina’s jail and prison population: North Carolina’s prison population, currently more than 37,000, has more than doubled between 1980 and 2016, and it is projected to exceed capacity by 2025. Meanwhile, an estimated 16,871 people were locked up in county jails in 2015, nearly 90 percent of whom had not been convicted of a crime. Drivers of mass incarceration: Nearly 1 in 3 people imprisoned in North Carolina was serving time for a drug or property offense as of May 2018. Longer prison sentences: In 2015, a person serving time in North Carolina had served an average of 29.4 percent more time than just a decade earlier. The average amount of time served for drug offenses jumped by 63.2 percent during that time period. Racial disparities: One in 40 Black men in North Carolina were imprisoned as of 2016. North Carolina’s Black per capita adult imprisonment rate is 4.5 times higher than its white adult per capita imprisonment rate. While Black people accounted for 52.9 percent of the 2016 prison population, they made up only 21.5 percent of the state’s adult population. The rapid aging of North Carolina’s prison population: The population of people over age 50 in prison grew by nearly 105 percent between 2006 and 2016. People age 50 and older accounted for nearly one in five people (17.9 percent) imprisoned in 2016, a trend that is at odds with overwhelming evidence that this group poses little risk to public safety and is unlikely to recidivate. High rates of mental illness and substance use disorder: 71 percent of screened people who are incarcerated reported having a substance use disorder requiring intermediate or long-term treatment. The state estimates that 25,000 people with severe mental illness end up in North Carolina jails annually. The fiscal toll of mass incarceration: North Carolina’s general fund spending on corrections has increased by 254 percent between 1986 and 2016. Imprisoning one person in North Carolina cost an average of $89.30 per day in 2016. The Smart Justice 50-State Blueprints is the first-ever analysis of its kind and will serve as a tool for activists, advocates, and policymakers to push for transformational change to the criminal justice system. They are the result of a multi-year partnership between the ACLU, its state affiliates, and the Urban Institute to develop actionable policy options for each state that capture the nuance of local laws and sentencing practices. The 51 reports (covering all 50 states and the District of Columbia) will be released in multiple phases, beginning with an initial rollout of 24 state reports, including North Carolina. The state reports provide a snapshot of the tailored, localized approach that reforms must take to ending mass incarceration. The Blueprints offer a calculation on the impact of certain reforms by 2025 on racial disparities in the prison population, fiscal costs, and overall prison population and progress toward a 50% decarceration goal. The reports are all viewable on an interactive website that allows users to visualize the reductions in jail and prison population that would result from the policy decisions that states pursue. The interactive feature is viewable here: https://50stateblueprint.aclu.org/states/north-carolina. Mike Meno is the Communications Director of the American Civil Liberties Union of North Carolina.